Adam Boulter revealing his '1D Tracker' app. 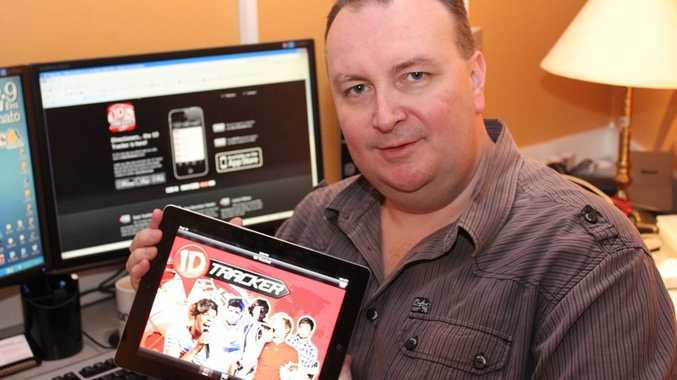 A GOLD Coast father of three has built a smartphone application that tracks the popular band One Direction. Adam Boulter began to research, develop and build the tracking app after being inspired by his 17-year-old daughter Amy, who is a fan of the mega boy band. Earlier this year, Mr Boulter asked his daughter if she would be interested in an app that tracked One Direction anywhere in the world, after he found out she was "using an airline app to track the flight carrying One Direction on their way to Australia". "I was met with a loud and decisive 'absolutely' and so I decided to build it just for her," he said. The '1D Tracker' allows fans to follow band members Harry Styles, Zayn Malik, Liam Payne, Niall Horan and Louis Tomlinson from concert to concert around the world. The app almost reached a dead end with Apple citing copyright and privacy concerns, so the determined dad took his new app straight to the stars. With direct sign off from One Direction management, Mr Boulter got the green light to take his tool to market and his daughter couldn't be happier. "It has turned out really cool, my friends and I really love it! 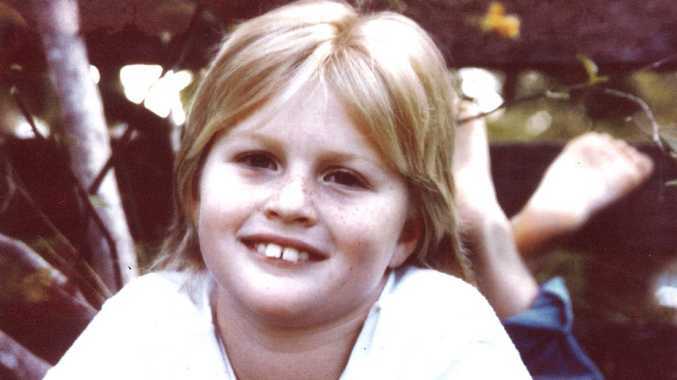 I just can't believe how much time dad put into it," Amy said. Adam Boulter and his daughter Amy. Working full-time as a Web & Multimedia Producer for a Gold Coast radio station, Mr Boulter built the app in his spare time. "I've really enjoyed this whole process and I'm thrilled with the results. While we can't track the lads in real time, it's as close as you can possibly get." "The timing of this app couldn't be better. From official concerts and events, in transit to round the clock spotting, the 1D Tracker will always point fans in the right direction." Tour date/location information via a maps and events section. Tour date and individual concert information is updated regularly. Access to the One Direction and band member Twitter feeds. The app has just been released on the iTunes App Store for 99 cents (AUD). More information about the 1D Tracker app can be found at www.1dtracker.com or on the iTunes App Store. One Direction releases their new album Take Me Home today before kicking off their world tour through Europe, North America and Australasia.